Written by Mary Buffa, Skyline Exhibits. With social media already having an immense impact on our culture and everyday lives, it is constantly evolving and growing in popularity. Thankfully, it is easier than ever to get your name and brand out there. Pushing social media campaigns before major events give other exhibitors and vendors the opportunity to know you and your brand before event day. This gives you the advantage over people getting their name out there on the day-of. Research shows that more than 90% of millennials use social media. 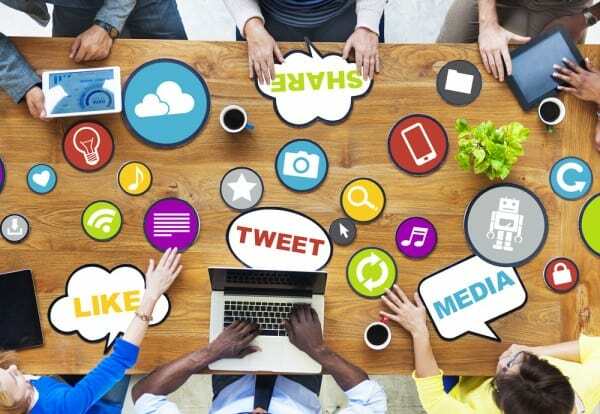 Having a strong social media presence is a key factor in connecting with future leaders in the millennial generation. By running your social media campaigns during an event, other attendees will start to recognize your name and seek out your booth to find out more. Posting your giveaways and promotions before and during the event can create intrigue and organic traffic towards your booth. The more that the public becomes aware of who you are and what you do, the more likely they are to engage with your business. Increased recognition can increase sales and future opportunities. The simplest way to implement this through social media is to link posts back to your website or blog in order to gain online traffic. Social media is a free, easy, and thriving resource for any business to gain audience and sales. Staying ahead of the curve during this age of technology is imperative for longevity in your business. Go ahead, download a few apps and see what they can do for you and your business. Mary Buffa is Skyline Exhibits’ Senior Account Executive, with 15 years of marketing and trade show experience. Mary is a passionate and talented business professional, actively networking and helping clients with their trade show displays.